This weekend has been carefully designed for those with no previous experience, those with a basic understanding of knife and axe work and those who wish to improve their skills in carving. 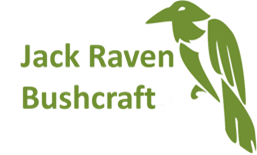 Whilst we are certain that you will leave us with some great hand carved items, you will also leave us with new found confidence and ability having mastered two of bushcraft’s most essential tools, the knife and axe. The course will begin with an in-depth study of a variety of axe and knife Swedish carving techniques. Safety and being able to work with minimum of effort will be the main focus of the session. You will also learn to identify which strokes are best suited for different kinds of cuts. After this session you will be ready for a weekends carving, beginning with a Swedish style spatula. How to sharpen your carving tools and create your own tool sharpening station. Carving knives, draw knives, axes and crook knives will be provided. A really great chance to begin a lifetime of carving beautiful things! This is a totally student-centred course, with friendly but highly professional delivery. Gary is extremely knowledgeable and clear & patient in his instruction. That was reassuring, particularly given my dyspraxic tendencies! There will obviously be cuts, nicks, etc on a blade-wielding course, so the first aid came into play a few times - again, calmly, professionally provided. Last but not least, the food is fabulous! I'm going back in September for another course. Don't forget to send a photo of your spoon once you've inlaid the diamonds! The course was well situated off the beaten track which allowed total concentration for the course. The course content was structured and allowed individuals to progress at their own pace with the different projects. The food, company, banter and carving made the weekend really enjoyable. Thank you.